Mansalu trekking is the most popular non touristic area trekking. 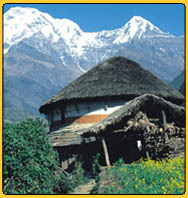 Include beautiful scenerary and interesting Tibetian cultures in Gorkha Manasalu region of midwestern Nepal. We have the following dates scheduled for this Manasalu trek 2011, that are guaranteed to operate with a minimum of 1 or 2 persons in the group. The trek is also available on a private basis to suit your own dates. If you want to travel with your own group, be it family, friends, clubs or old travelling companions,please e-mail us. Mt. Manaslu, at 8,156 meters is the fifth highest point on earth. 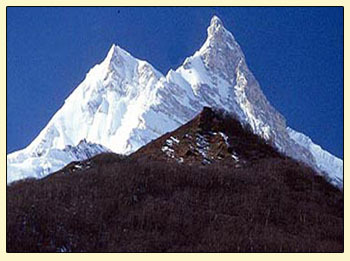 Manaslu was attempted by Japanese expeditions every year from 1950 until 1956. The first ascent of Manaslu was scaled by Japanese expedition in 1956. However this area has been opened to trekkers only since 1991. Much of the information about this area is available only with Japanese. So it became known as “Japanese Mountain.” This trek route is remote and rescue facilities are harder than most in Nepal. In many places the wall of Bhudi Gandaki valley are steep, so we can walk along the bottom of the valley. There is a huge amount of wasted of climbing involved in the beginning of first 10 days as we climb up and down over the ridges and bypass the lofty cliff. The trail is rough and it often literally hangs on a bluff high above the river. The trek is geographically spectacular, culturally fascinating and traverse a strong living Tibetan cultural environment and spectacular wilderness. Moreover, Larke La ( 5100 m) is certainly an unforgettable pass crossing in Nepal Himalaya. This trek starts either from Trishuli, Arughat and Gorkha and ends at Besisahar. Because much of this trek in a region of strong Tibetan influenced, many places have Tibetan names. Buddha Himal, Himal Chuli, Parbat Himal and Budhi Himal are in side Manaslu ranges. The Tibetan ranges are even closer in the borderline ranges in this region. Please visit our testimonials section to know how much our clients enjoyed the trip with us. Every week through out the year how ever (June - Aug) is not recommended. Guided trip, fully supported camping trek. Single supplement, travel& health insurance, international flight and visa cost, drinks, tips, airport tax, evacuation cost and the cost which is not mentioned above.